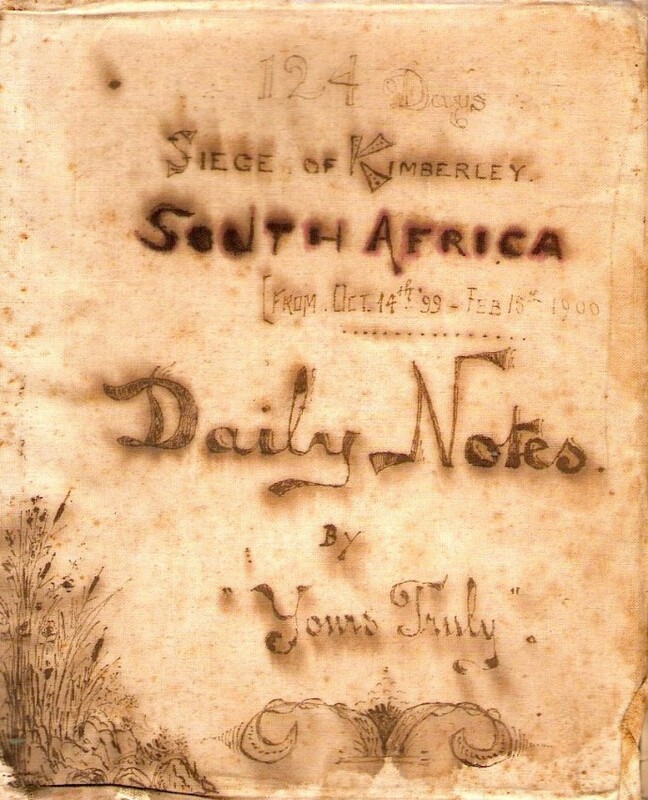 Diary of Charles Ovendon Godden, a shopkeeper at Godden & Co, Kimberley at the time of the 124-day Siege of Kimberley. 203 numbered pages, 2 hand-drawn maps in a cloth folder and 2 permits issued to him. Godden describes in great detail the military operations in and around Kimberley and gives the reader a thorough insight into daily life in the town during the Siege. 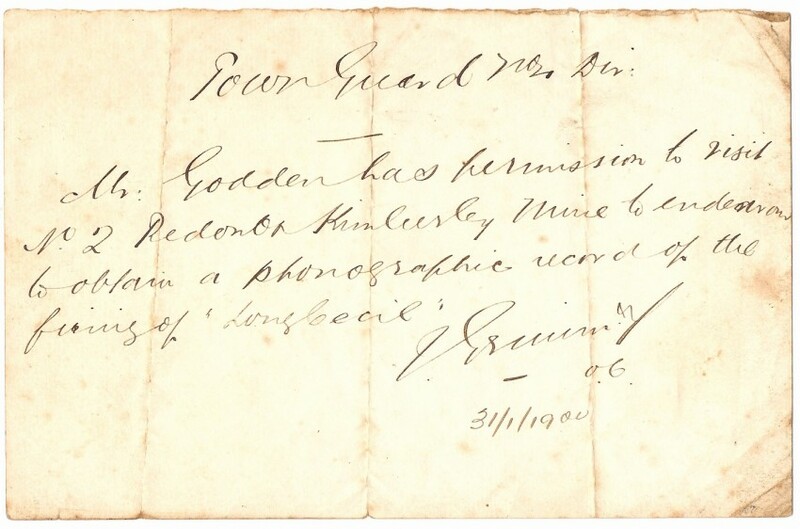 The diary starts on a letter head of his business - Godden & Co on 14 October, 1899. 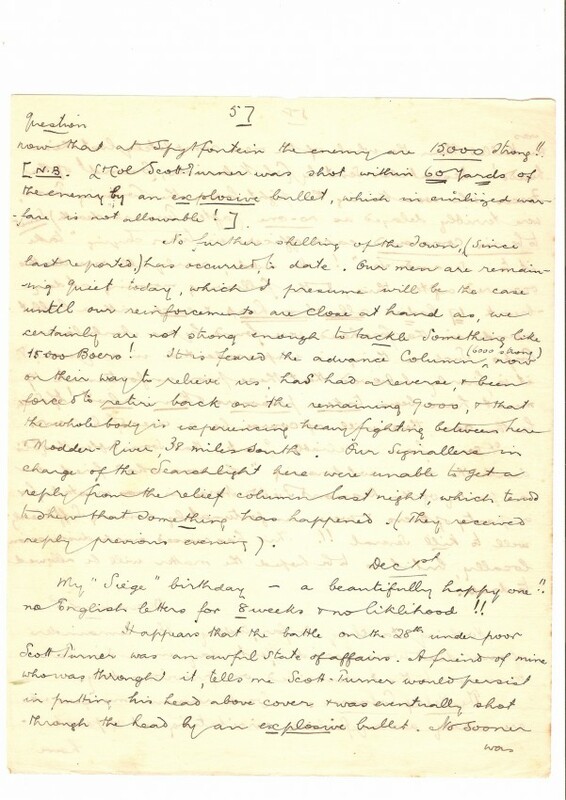 The last dated entry on 18 February, 1900, three days after the Siege ended, is followed by a three-page ‘conclusion’. 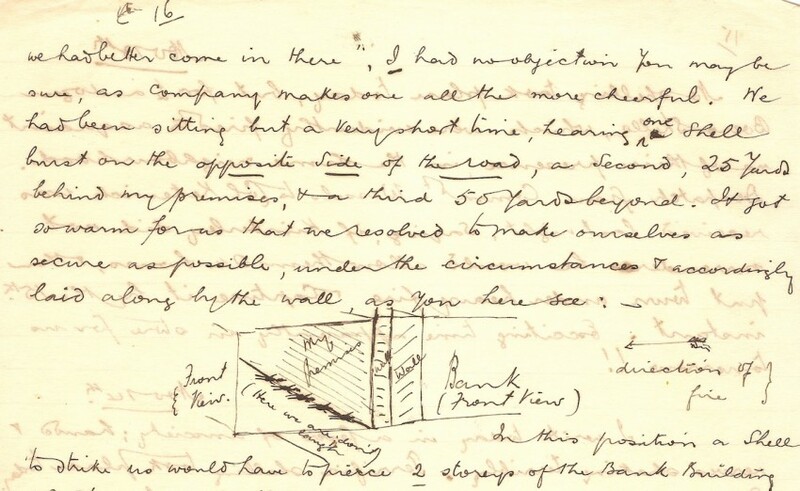 The diary, in his words is a ‘War’ letter that he addressed to his father, and he committed himself to daily observations. Godden understood the historical context he found himself in and reported with authority on military maneuvers. 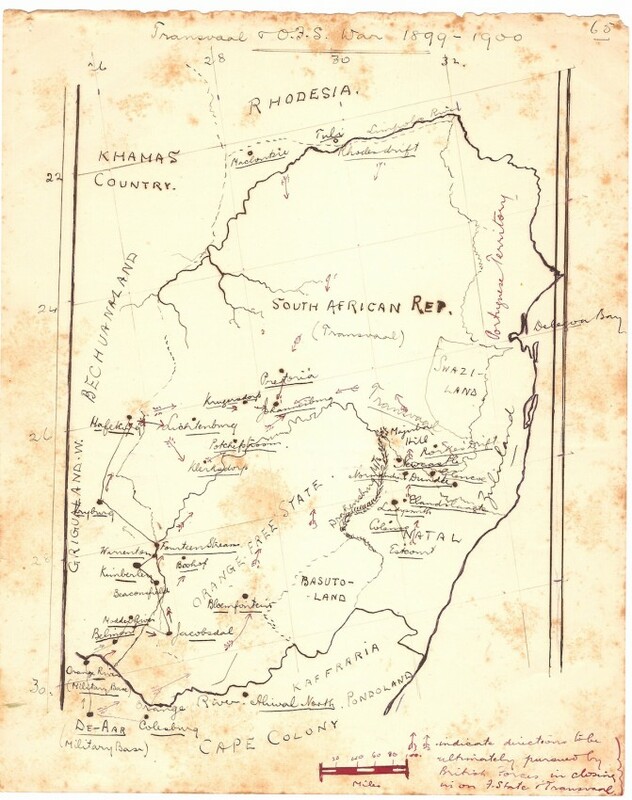 He describes Boer positions, movements and tactics in areas around Kimberley like Spytfontein, Scholtz’s Nek, Belmont, writes about contact between Relief troops and Boers in places further afield like Magersfontein, Jacobsdal etc, updates on the Siege of Mafeking are also provided. He frequently reports on casualties on both sides, describes the shelling of Kimberley in much detail as well as the destruction it caused and how it affected the residents. There is also occasional references to amusing incidents. “… these 28 (Boers caught) miserable-looking, scraggy-bearded, half startled specimens of uncivilized humanity passed by my place". “A friend of mine was shot after the hoisting of White flag”. “Lt Col Scott… was shot within 60 yards of the enemy by an explosive bullet, which in civilized warfare is not allowable!”. 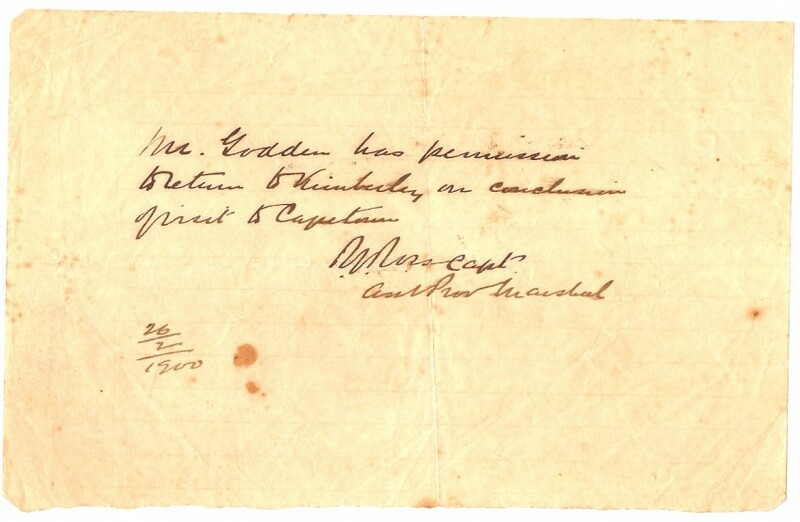 Many references are made to Cecil John Rhodes who arrived in Kimberley just prior to the destruction of the railway line, and the involvement of De Beers Company during the Siege. 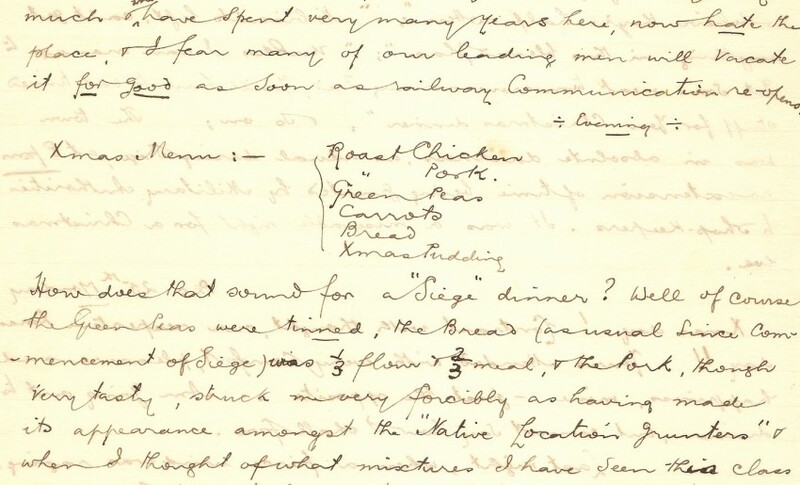 On food shortages during the initial stage of the Siege he noted: “Each person’s allowed 1 lb. bread per diem, and this is to be composed of 3/4 Boer meal and 1/4 flour. Meat is restricted to 1/2 lb. for each person per diem” No liquor, whatever to be sold to Natives… For the past month we have been drinking mud!”. The food situation soon deteriorated: “To secure even a cow’s ‘trotter’ is a decided luxury” and on 9 January he reported “It was publicly announced this morning that the population must take horse flesh today, or nothing at all”. 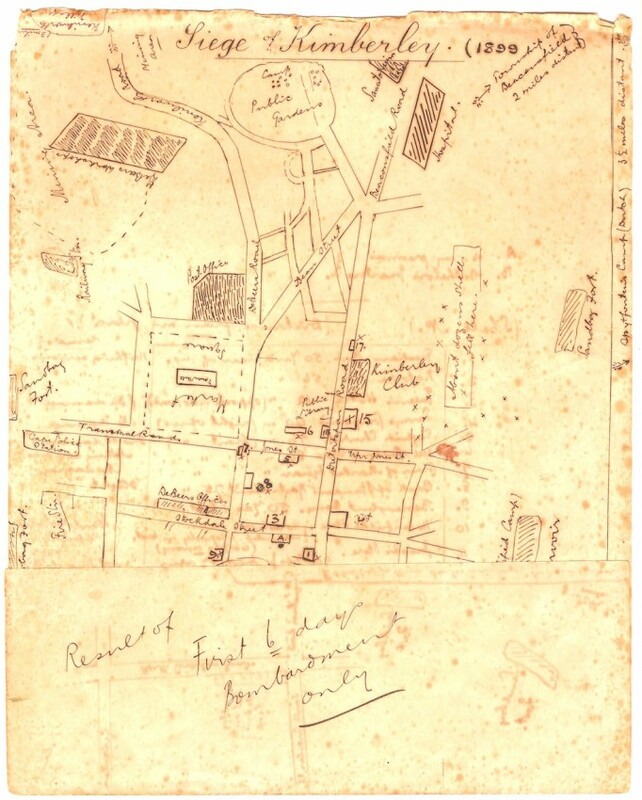 The diary of circa 40 000 words comes with two hand-drawn maps, one indicating the “result of first 6 days bombardment only” and another titled “Transvaal & O.F.S. War 1899-1900”. Pages are inserted loose in a decorative hand-made cloth folder. 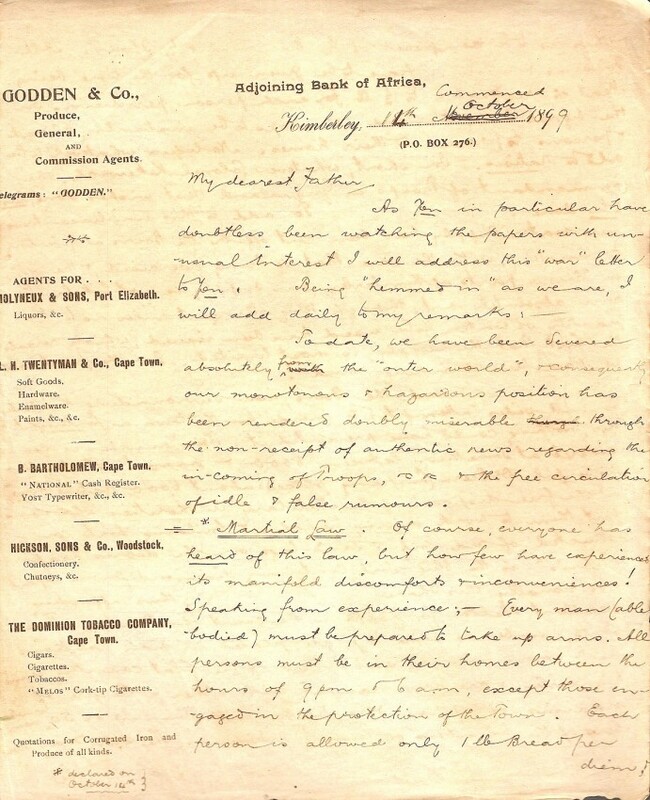 Pages have yellowed, some page edges worn, text complete and legible. Charles Ovenden Godden was born on 1 December 1875 and died in May 1946. He was buried in Port Elizabeth.